To inspire young leaders through building healthy relationships, exploring leadership development, and actively engaging within their communities. “I ended up getting a mentor who saw the good in me when nobody else did. I had a mentor who believed I’m capable of more than I was putting in and showing the world. My mentor gave me faith in myself to strive for greatness and find my purpose in life again when I thought there was nothing else in this world for me. She gave me my voice when I couldn't speak, when everyone else turned their backs on me, when others stop believing in me she believed." The Florida Youth Leadership Academy (FYLA) kicked off its first class in December 2007 in Orlando, Florida. 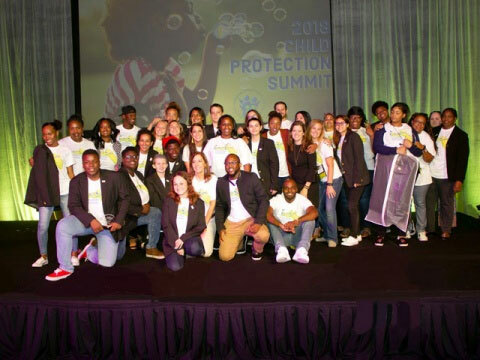 What initiated as a professional development project under the direction of Florida’s Department of Children and Families’ Child Welfare Leadership Program and Connected by 25, grew into a statewide mentorship and leadership program for youth involved in the child welfare system. The FYLA mentor and mentee 2019 application period is closed. Please check back in October 2019 for more information regarding the FYLA Class of 2020. FYLA Class of 2018 Mentees’ PSA Service Project to Recruit Foster and Adoptive Parents.